During the past 20 years, intrauterine infection and inflammation have been identified as significant risk factors in the development of fetal and neonatal morbidity and mortality, as well as adverse long-term outcome in very immature preterm infants. 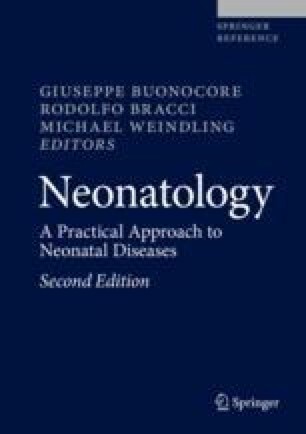 Besides severe infections, immature preterm infants are at high risk for syndromes of dysregulated inflammation including bronchopulmonary dysplasia (BPD), necrotizing enterocolitis (NEC), and preterm cerebral white matter disease (WMD). Although pathogenesis is multifactorial, inflammation has been acknowledged as principle mechanism, being caused, sustained, and aggravated by multiple perinatal factors interacting in a multiple-hit sequence. An inflammatory state is presumed to be either initiated prenatally by chorioamnionitis or induced and sustained by pro-inflammatory postnatal conditions, such as oxygen toxicity, mechanical ventilation, and neonatal infection. Perturbation of pro- and anti-inflammatory central signaling pathways and subsequently imbalanced inflammatory responses may lead to severe organ injury affecting parenchymal development during a window of vulnerability. Maturation-dependent factors and genetic predisposition may underlie a particular vulnerability.